iCloudin-iCloud Bypass Software 2018 Free Download. Hi guys, has your iPhone locked by the iCloud activation and are you in searching for an iCloud activation lock removal tool? You are lucky to be landed on the right place because here from this platform, you will find the best iCloud removal tool with very simple and easy interface it is completely free of cost. Many Apple android device users face iCloud activation lock issue and really, it is a stressful and hectic job to overcome this problem. Sometimes, this job exasperate some un-necessary restrictions. Using this platform, you can have iCloudin-iCloud Bypass Software 2018 from the official link shared below at the end of this page and install the application on your phone. This unique application offers you a wide range of features to remove the iClould account lock or sometimes bypass the account to reach you to a new account. In either case, you will have to iClould to save your data and to synchronize between your different Apple devices. iCloudin is a very simple and easy iCloud account removing tool which helps the Apple users to get the iCloud account back in case if they forget the password and now, not able to recover the passcode. Before performing your job, first, you need to have some basic know how about using the tool. There are dozens of tutorials available on Youtube channel, you can find a best tutorial and get the job done. If you are a technical expert and you always you are ready to go into the nose of every problem, you will get the right use of the application without further delay. By using this application, you can even remove the pattern lock of the phone with the help of simple interfaced tool on your PC. Now, it is the time to get start it installed on your PC, and removing the iCloud account. 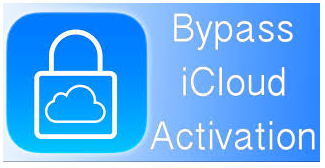 How to use iCloudin to remove iCloud activation passcode. First of all, download iCloudin-iCloud Bypass Software 2018 from the official link shared below and install the application on your computer. Connect one side of USB data cable to the phone, iPad, iPod or any other iPhone device. Release power key but hold on home key so unless and until your PC recognize your android device. Tap the start button and select the model of your device, tap on next button for further process. The application will scan your phone and then begin to bypass your iCloud activation lock. Now, you are ready to get your lock removed android smartphone. You can click on iCloud account password removal tool and with some clicks of your finger to remove it very easily. This process can take hardly 20 to 30 minutes so be patient and wait and don't tweak around your phone, it will start within 20 to 30 minutes. iCloud is one of the easiest and simplest toot by virtue of which, you can remove the iCloud activation password of your iPhone for which you would not have to pay in return in using the service . This application has the simplest interface and clean navigation mechanism. This software also helps you in removing the pattern lock of your android device. If you wish to get this application, then follow the link shared below and Download iCloudin-iCloud Bypass Software 2018 and remove account activation password of your android phone with only just one tap of your finger.